The Dynamics of Writing Instruction. Smagorinksy, P., Johannessen, L., Kahn, E., and McCann, T., Portsmouth, NH: Heinemann, 2010. Writing About Literature (2nd Edition, Revised and Updated). Johannessen, L., Kahn, E., and Walter, C., Urbana, IL: NCTE, 2009. Talking in Class: Using Discussion to Enhance Teaching and Learning. 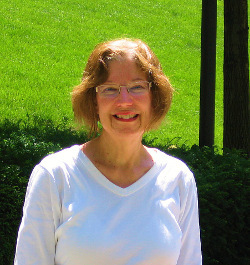 McCann, T., Johannessen, L., Kahn, E., and Flanagan, J., Urbana, IL: NCTE, 2006. Reflective Teaching, Reflective Learning. McCann, T., Johannessen, L., Kahn, E., Smagorinsky, P., and Smith, M. (Eds. ), Portsmouth, NH: Heinemann, 2005. “Teaching F. Scott Fitzgerald’s The Great Gatsby.” In Ed. Milner, J. and Pope, C. Engaging American Novels: Lessons from the Classroom. Urbana, IL: NCTE, 2011. “Making Writing Instruction Authentic.” English Journal 98(5) 2009:15-17. “Thinking Critically about Words.” English Journal 97(4) 2008:14-15.